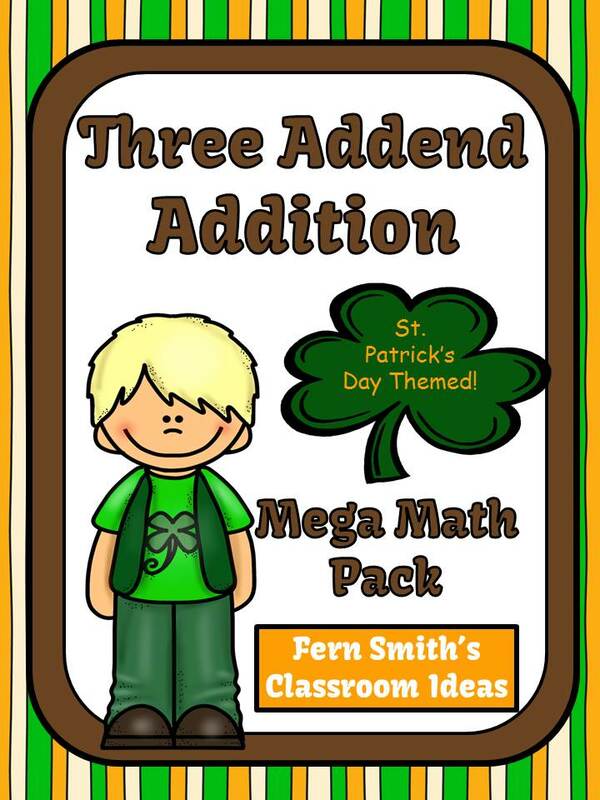 Just Published ~ St. Patrick's Day Three Addend Addition Mega Math Pack - Printables and Games - Fern Smith's Classroom Ideas! 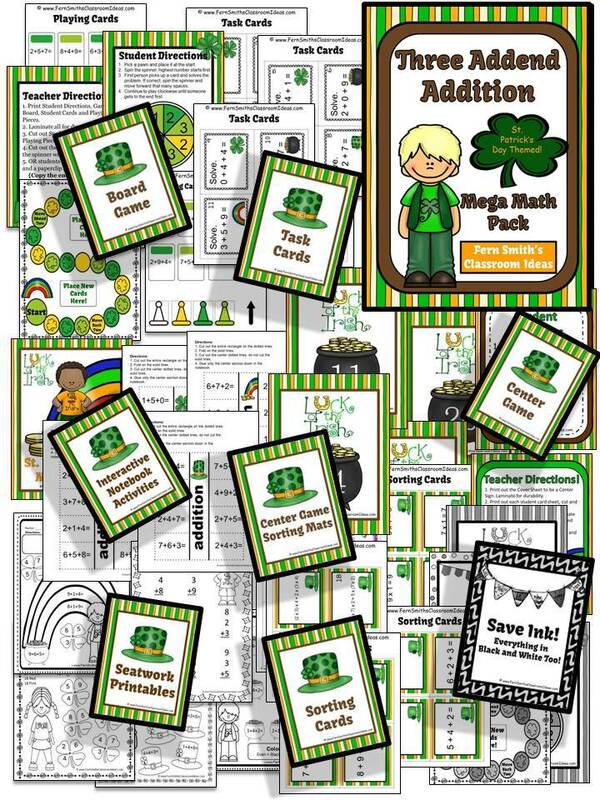 Use this bright and colorful St. Patrick's Day pack for a Sub Tub or Homework during the long, cold winter! Download the Free Preview for FREE Three Digit Addition Printable Worksheet and Answer Key !